What's New in Games for Theme Park Fans? February 11, 2015, 1:45 PM · Can you believe that it's been 11 years since RollerCoaster Tycoon 3 came out? Since that time, many gamer theme park fans have been left waiting. No Limits 1 & 2 have shipped as superior simulations, though not really games, and other than those and maybe ThrillVille, the offerings have been less than stellar. Until now. We are about to hit critical mass on new theme park and roller coaster games. I figured it was a good time to update everyone as to where we stand on new games while those of us living outside CaliFlorida wait to get back on some actual theme park rides this summer. This is the project that kicked off the new renaissance of theme park games. 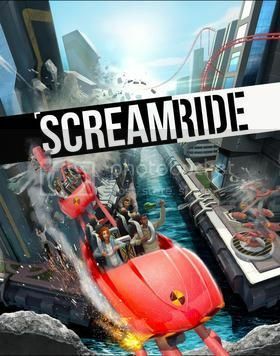 Pantera Entertainment threw out this idea onto KickStarter to see if anyone was interested in a new theme park game. After raising more than $100K in starter funds to build it, the company has been extremely busy working on this. They have done several code releases onto Steam and appear to be doing quite well. Having not played this particular game, I can say that to me it looks like No Limits, yet not as polished, making it strictly a simulator and not a game per the strictest definition of the word. While I think this is brilliant, I also get the feeling like No Limits will destroy them, and if they convert to a game, several of the below better funded games are going to steal their lunch money and kick them in the shin. This is another project that got its start on KickStarter, with Texel Raptor doing the development work. There is much less information on this project than the previous, partially since Theme Park Studio has released code and Parkitect has not just yet. This project is doing weekly devblogs and while it looks like they are making progress, the stuff that they are showing looks like a low-res knock off of the original Roller Coaster Tycoon with cartoonier graphics. Now, it could very well be that they are not done yet and the high-res polish goes on last, but I have to think they are going to get steamrolled by the games that have several million in their budget just to spend on team building exercises. Ultimately, it comes down to whether or not this one is more fun to play than all of the other ones. Let’s hope that is the case. Please don’t confuse this game with RollerCoaster Tycoon 4 Mobile which came out late last year for mobile phones, which requires in-app purchases. RollerCoaster Tycoon World is starting over from scratch where RollerCoaster Tycoon 3 left off. The parks will be rendered in 3D, and the coaster building will be done using a grab and stretch mechanic instead of the prebuilt parts of the previous RCT games. One of the big concerns about this game is a switch of the developer about halfway through the process. While this would normal indicate that the game is not doing as well as it should be, in this case it looks like things may be okay. From the way it looks, the developer originally working on RCTW was sold to a different company, and the new company didn’t want to continue with the production. Atari then pulled the game back and found a newly-formed developer that was more than willing to take on a project that was already half built and needing primarily artwork and animation. Since starting their dev work, the new developer has taken over www.rollercoastertycoon.com and revamped the website to include new development blogs (and in the process they also hid the patches for the old games). While they have admittedly not responded to many things on the discussion boards, they claim that the developers are constantly on the discussion boards to check out the ideas that people are suggesting. A new feature that they mentioned is the ability to do sophisticated dark rides...but what that means, I have no idea, since “dark ride” can mean many things. They mentioned that the haunted-house-style dark ride from the previous RCT games is being retired. They make it sound like you will be able to do Mummy, Soarin’, Potter-style dark rides. The release date has not even been hinted at, so if you have ideas, be sure to get over to the RCT website and submit what you have. There was also supposed to be a multiplayer mechanic to the game, but details are sparse on this since the developer was changed and if anything could easily be on the chopping block, it would be multiplayer. This is an extremely new development and as such there are less details than any of the other projects. But, the way this sounds to me is that this going to be a knockoff of the RCT series, but a knockoff by someone who is intimately familiar with the way things were done. Frontier is also taking suggestions for what features to include, so be sure to voice your opinion on their website as well. This one is slated to be delivered in 2016, far after most of these other projects are already gathering fans in the wild, but as the one developer that has delivered a hit game in this genre, one has to think that this is going to be the cleanup hitter. While this is not a roller coaster or theme park game, I figured this also needed mentioning. Kingdom Hearts III is currently in development and according to Bill Farmer (Goofy’s voice actor), the game should come out sometime later this year. This is in addition to the knowledge that he has already recorded all of Goofy’s lines. So the dread silence on the rest of the project is apparently just a directive of the development team and not a sign that anything is wrong or delayed on the project. The official word is that it will be done as soon as it can be, which is a nice way of saying, “Don’t pressure us…it will be done when it is done.” What we can draw in from this is that the story line is done, they are working diligently on the cut scenes, and the rest of the worlds are still being built. Specifically which worlds they are using is finalized while the final product is far from finished. It was mentioned previously that Kingdom Hearts III would look into using Star Wars, Marvel, and Pixar properties as long as they made sense in the arc of the story they are trying to tell. One could almost bet that since Frozen was the biggest thing during the development of this game, that Arendelle might make an appearance as one of the worlds. Since the game has an affinity toward “princesses of heart,” you could also bet on the new princesses since the previous Kingdom Hearts game will make appearances, like Merida, Rapunzel, and Tiana, in addition to Anna and Elsa. I personally hope that Wreck-It Ralph, Cars/Planes, Toy Story (I can’t think of a cool way this would work, but with another sequel in the works, you never know), and Monsters worlds are introduced. As of yet there are very few details out on the game, except for the short demo below. This game will only be available on new generation consoles. This also is not strictly a theme park game, but since they are currently building no less than three amusement park attractions to this IP, this probably needed to be mentioned. The most important thing about this game is that it is going to be your last Ben Affleck-free version of Batman…after this, I expect Marvel to get much more popular. It also doesn’t help that Batman Arkham Knight is going to be the last of the Arkham series made by Rocksteady Games. With the shipping of this game, superhero games will probably go back in the toilet for another 10 years. 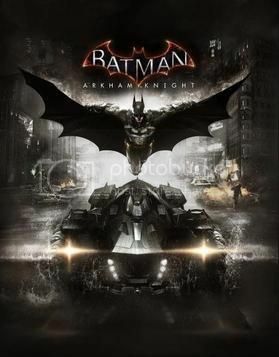 According to most lists, this game is on the most anticipated games lists and not just because we will now be able to drive around in a fully decked out Batmobile…I mean, we already did that in Lego Batman, what’s the big deal? One more final point, since we are talking about games and theme park IP. Through Presidents’ Day, Humble Bundle is running a special Star Wars Bundle where for $12 donated to charity, you get: Star Wars The Force Unleashed I & II, Star Wars Knights of the Old Republic I & II, Star Wars Dark Forces, the three Star Wars Jedi Knight games: Jedi Academy, Dark Forces II, and Jedi Outcast, Star Wars Empire at War, Star Wars Battlefront, Star Wars Republic Commando, and Star Wars Starfighter. That comes out to $1 per game for some extremely good games, all redeemed and permanently downloadable whenever and as often as you want them through Steam. Go to www.humblebundle.com to snag your bundle. If I have missed a game, or if you would like to step up to the mic and prognosticate how these games will perform, or go the other way and give a good diatribe on the virtues of the games you already use, please feel free to palaver in the comments section. February 11, 2015 at 2:27 PM · I don't think Theme Park Studio has anything to worry about from No Limits. The objectives of these 2 products are very different. No limits is great, but its strictly a roller coaster toolkit and simulator. Theme Park Studio's goal is to allow you to build an entire park. February 11, 2015 at 2:49 PM · I wish the poll function on this website would not list the options in order of popularity before a selection is made. It creates list bias, which perpetuates the first selection as most popular. I would like to see how the results change if the options are listed in random or alpha order before selection. February 11, 2015 at 3:16 PM · OK. That should be fixed now. February 11, 2015 at 7:22 PM · I think TPS has a lot more to offer then NL2 and in the end it will be much easier to use then NL2. Again NL2 is a coaster simulator and TPS is a themepark simulator. It is the first game in which you can import your own design, even flat rides and bring them to life without any use of scripting language. This i have never seen before and truly makes a difference besides all the other tools allowing you to build a park in any way you can think of. NL2 is good but cannot compare to TPS! February 11, 2015 at 7:32 PM · As someone who owns both Theme Park Studio and No Limits 2, Theme Park Studio has way more potential. It is more fun to play, has game-play elements and, IMHO, is much easier to create coasters than NL2. TPS also has the ability to create levels, much like a game engine, construct flat rides and scenery/buildings from scratch and everything can be edited and customized. Lastly, music and sound, along with a ton of new features was released a month ago with more sfx and music to be added in the near future. February 11, 2015 at 10:44 PM · It is very interesting that Jeff writes a review of a game without even playing it! This just shows that this is not an honest review at all but a highly biased opinion with possibly a hidden agenda. An honest reviewer would play Theme Park Studio before stating flat out that "No Limits will destroy them"! My question is this, is he gaining something by posting such an utterly biased opinion? I have tried the Demo version of NL2 and did not like it at all, because you almost had to be an expert at Computer Aided Design to design your coaster. I own and play Theme Park Studio and find that not only are the coasters easy to build, the paths are too. Then there is the custom train builder where you can import your own coaster designs or use the ones provided to mix and match and customize them. Importing custom scenery is very easy to do and flat rides can be created with no scripting language required. Even though this game is in Early Access on Steam, It is a super product with more to come. As far as the other Theme park games go, I can't comment on them yet since they have not been released, however I will go as far to say that I was surprised when Atari changed developers from Pipeworks (who were getting great reviews) to Area52. I will be watching these other games. I gain nothing by writing my opinion. And it was purely opinion. And there is no hidden agenda, other than if any of the 5 theme park games are actual games, I will buy them if I hear the quality is up to scratch. I guess I'm curious to hear more of what you think about the similarities and differences between NL2 and TPS. In particular I know NL2 is not a game, but was wondering if TPS was more game, more sim, or more construction tool. If TPS is just a construction tool, then other than ease of use I don't understand the point when NL2 has been in the wild for more than a year even if it is difficult, yet powerful to use. In reference to RCTW, Atari appears to have had no choice in the matter based on what little information has leaked out about it. They are being very secretive about the switch at this point but I trust my sources on this that they got the story at least close to correct. Atari may be under a legal gag order on this one, since no official information has come from them or Area52...and a simple story could have allowed them to save some face. ...and I apologize if I was somewhat harsh... I'm used to writing humor articles where I'm allowed to get on a soapbox and yell for the sake of yelling. Trying to do something a little more serious sometimes gets me into trouble since my style of writing follows me around like a lost puppy. February 11, 2015 at 10:51 PM · It depends on your definition of a game, I tend to favor the one in the Merriam-Webster definition, "activity engaged in for diversion or amusement". With this in mind, TPS and the rest can all be classed as games. I would like to post a couple of videos to show what Theme Park studio can do, how would I do that? February 11, 2015 at 11:03 PM · I define a game as something with goals that can either be won or at least give the perception that a goal is being chased. Certain sims and construction tools have value, but I would consider them tools and not games. But I'm not knocking tools at all...they are still fun, just not games. February 12, 2015 at 4:02 PM · A comment about No Limits 2 and Theme Park Studio. As someone who loves theme park games in general it's a no brainier to own them both, fighting about which one is better or worse in a game genre that has so few choices only hurts over-selves. We have Roller Coaster Tycoon, Theme Park Studio, and No limits, each of theme offer something the other does not. Give some leniency to Theme Park Studio as it's still in early access but already a contender to the other two. No limits is the best when is comes to pure coaster simulation and coaster graphics, but it's also the most complex to use which is expected, it's a professional coaster simulator and it's top notch. Theme Park Studio is an entire theme park builder, I've seen some coasters that are near the quality of No Limits but at the time it's a much easier interface to use. Where Theme Park Studio excels is the rest of the park, landscapes, trees/bushes, buildings, custom animations,custom textures, flat rides, custom sounds, custom everything - it takes the sandbox out of roller coaster tycoon and takes it to a new level we did not previously have in theme park builders. Roller Coaster Tycoon is the easiest to use of them all but also the "gamiest" of all of them. It's a fun game and it has it's place but if you want to build realistic parks and or coasters you would have to go with the two above. I think the upcoming Roller Coaster Tycoon World is over-hyped, I'll make an early call and say it's not going to be the game many people expect it to be, not to say the series is not good, again it has it's place and I'm sure I'll play it from time to time. I wish more people would embrace all three of these games instead of trying to put one or the other out of business. All three offer something unique and all three are good games. I'm partial to and play the most of Theme Park Studio right now simply because it offers me the most in terms of being creative and building a total theme park that looks really good, sounds and looks realistic. I have nothing bad to say about the other two games either as they both scratch a different itch from time to time. If you are in to gaming and a theme park enthusiast there's no reason you can own all three, the more choices we have as gamers in this genre the more we all win. Here's a video from a quick coaster build I did a while back in Theme Park Studio. I did not spend much time on this, maybe an hour or so, so the coaster is rough in some places which is easily fixed with the coaster tools but as you can see Theme Park Studio quality is quite good at this point. "(and I did not have to know Computer Aided Design)"
Nor did I or any of the other NoLimits users. This seems to be a constant source of why TPS seems better to you, but what's funny is that none of us had to learn CAD either. In a more general sense, both TPS *and* NL2 are "CAD" programs, since you're using a computer to aid in design. I am not sure what you're talking about here. Considering that YouTube link above was the *5th place entry*, that says something about the quality of everyone else's work. In just 5 hours. Also what you say about NoLimits being "strictly coasters" is false. It is true that it's easier to build a theme park in Theme Park Studio, but you're lying in saying that you can't build parks. You're merely trading off the abilities of both. In NL2, the coasters are far better but TPS has an edge on flat ride customization and paths. That said, even NL2 users are putting many flat rides in their parks, either designed themselves or given out to the community. In this example video, you'll see *many* cases where single rides exist as well as large parks. Give it a watch and see what you think. And for a disclaimer, I'm not a "paid spokesperson" for NL2. I've simply been around the community for quite a while and have seen the amazing stuff created by the users on my forum. People like N7 and CodeMaster create awesome assets for everyone to use, and I've visibly seen new people "get it" quick and start producing amazing results fast. In my opinion, TPS should have a demo! Without one I'm scared to buy it because right now it does not pique my interest in the slightest. But with a demo, you could sway my mind! For now though I will stick with NL2 because from what I've seen, it's far more polished, realistic, and can easily produce the same results. Your definition of CAD is extremely loose. I was referring to wireframe based technical software. TPS is much much easier to use with fully rendered scenes and a real time environment, more like RCT3. The accepted meaning of the term CAD is wireframe design or drafting. I would also like to show what is possible right now with Theme Park Studio (this was not done by me) with more features yet to come. February 16, 2015 at 10:44 AM · Hey Jeff, just thought you ought to know. Assuming John Pratt is Abletudu, as he strongly suggests above and appears to make no secret of, then be aware that he is a Global Moderator for the official TPS forums run by Pantera themselves. He's basically a volunteer for the project. The fact that he's here trying to shame you on your blog post doesn't shine the best light and Pantera and represents a teeny tiny (read glaring and obvious) conflict of interest. February 17, 2015 at 10:08 AM · Heads up to anonymous commentors, or others new to the site: Please read our site rules before posting. We will not approve anonymous comments that criticize registered members of the site, or that otherwise violate the site rules. If you want to criticize people on the thread, please do so under your name, and not via an anonymous comment. Thank you. February 17, 2015 at 1:50 PM · To me, opinion is opinion. I like NL2. I think the videos above are great. I also REALLY like TPS and the think the videos are stellar! Whether one works for either company, volunteers, or is otherwise affiliated with one game or the other, their opinion, if ethical and moral, is valuable. As long as they are not being defamatory, I believe what they think has merit. That's my opinion about opinion. February 17, 2015 at 3:16 PM · Let me get one thing straight. All moderators on the official Theme Park Studio forum are volunteer backers and NOT employed by Pantera, which does not preclude me giving my own personal opinion. I happen to like TPS and after trying the Demo for NL2 did not like it. It is NOT a conflict of interest to state a personal opinion of a product nor point out a slanted review, especially when the reviewer himself admitted he never tried the game. If you read his review you will see this ,"Having not played this particular game" stated by the reviewer himself. Accusing me is totally unfair since NL2 volunteers defend NL2 all the time. I at least tried the demo of NL2 before making any comments. I would also like to add that since I posted my name, it shows that I have nothing to hide unlike my anonymous accuser. I ask you what do you have to hide? February 17, 2015 at 3:33 PM · Let me get one thing straight. All moderators on the Theme Park Studio forum are volunteer backers and NOT employed by Pantera, which does not preclude me giving my own personal opinion. I happen to like TPS and after trying the Demo for NL2 did not like it. It is NOT a conflict of interest to state a personal opinion of a product nor point out a slanted review, especially when the reviewer himself admitted he never tried the game. If you read his review you will see this ,"Having not played this particular game" stated by the reviewer himself.